A Twitter chat is a way for Twitter users to gather together at the same time and talk about a particular topic. In this case, we’re moms who have IBD and we want to discuss clinical trials. Our co-host this month is Clara Health, a group focused on making it easier for patients and families to access breakthrough treatments. By searching for, or clicking on, the hashtag, #IBDMoms and #PatientsHavePower you can follow along with all the posts using that tag. In this way, you can see the conversation and also take part. 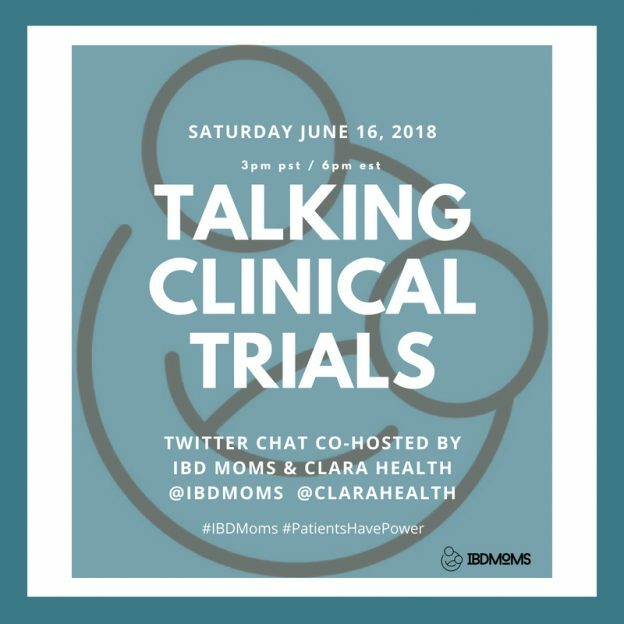 This entry was posted in IBD Moms, Twitter Chats and tagged clinical trials, goals, motherhood, parenting, twitter chats on June 12, 2018 by Amber. You’ve seen the posts: “Click like” or “Retweet” to vote! An interaction with a post is a “vote” and after a certain amount of time the “votes” are tallied and a winner is declared. Magazines may use this type of crowdsourcing to decide their “best restaurants” or a photography web site may use it to choose a “cutest baby” photo. This entry was posted in Advocacy, Amber Says and tagged advocacy, awareness, community, goals, social media, volunteer on June 4, 2018 by Amber. Are you ready to tell your story? 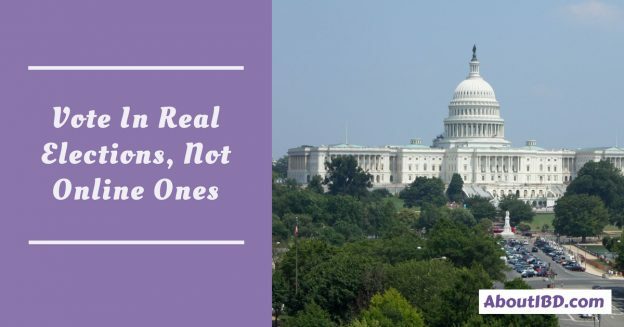 Your legislators in Washington D.C., in your state, and your home town want to hear from you about how IBD has affected your life and the legislation you care about. Brooke Abbott of The Crazy Creole Mommy Chronicles and Amber tell you how to get started in health activism and how to make your voice heard in our government! 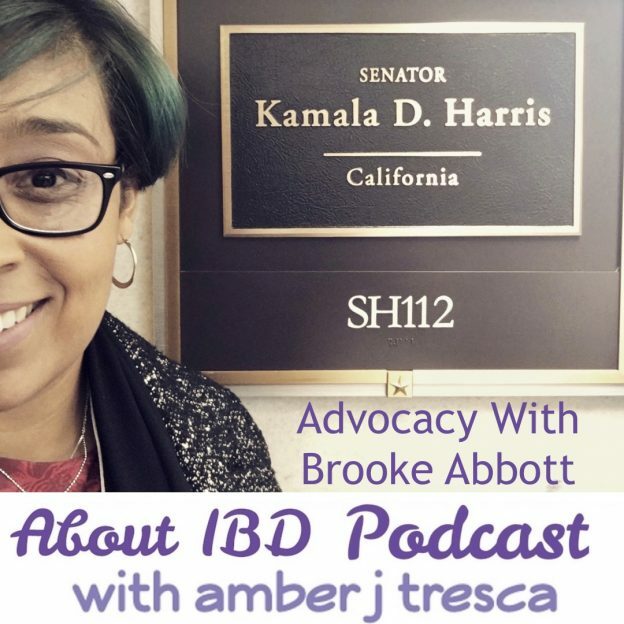 This entry was posted in Advocacy, IBD Moms, Podcast and tagged advocacy, awareness, goals, podcast, sharing your story, volunteer on June 4, 2018 by Amber. Welcome to the year-end wrap up show! I put together clips from my first 14 shows that drop the heaviest knowledge bombs about how life with IBD affects us, our careers, our relationships, and our stress levels. This entry was posted in Podcast and tagged colitis, crohns, goals, ibd, jpouch, podcast, travel on February 13, 2018 by Amber. What are your goals? Are you taking steps each day to move towards those goals? Brian Greenberg, endurance athlete and president of Chronically Better You, tells us how he moved from goals after surgery—getting out of bed and making his own lunch—to training for an Ironman in 2018. People with IBD know the value of structure and Brian explains how he has learned to manage his life with Crohn’s disease and an ostomy through careful planning and setting goals. 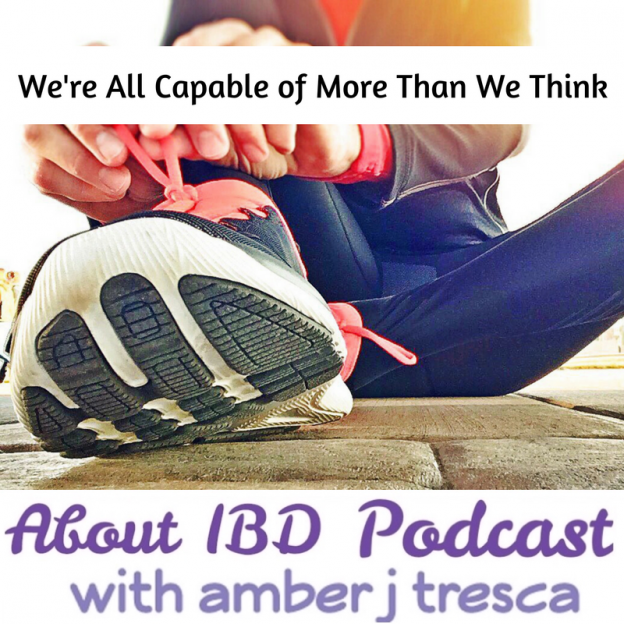 This entry was posted in Podcast and tagged crohns, goals, ibd, ileostomy, ostomy, planning, podcast on February 13, 2018 by Amber.